Show off with these trendy and stylish classic chunky heel booties all year round! 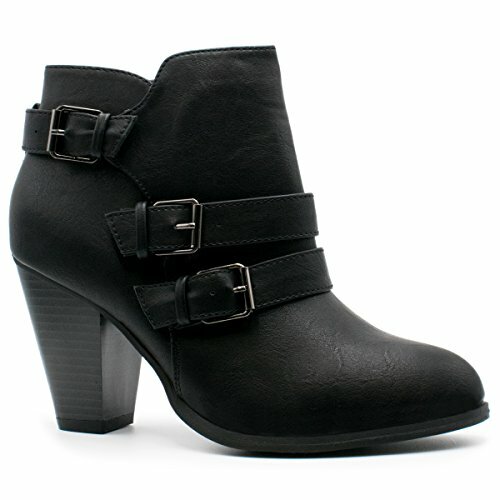 These ankle boots have a trendy back zipper for great looks with a chunky heel and a vegan upper. You can't go wrong with these effortless buckle chunky heel booties! Simple pull on booties are an everyday essential to complete your look. This revolutionary trend has become a wardrobe staple.